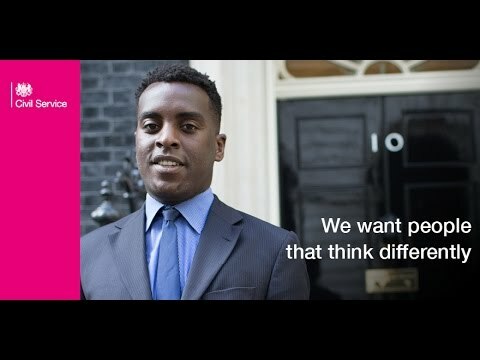 Are you ready to make a difference across the whole of government? The Government Internal Audit Agency (GIAA) helps government departments improve how they deliver public services and provide value for money for the taxpayer. We look at the bigger picture, considering the wider government context, as well as looking at an organisation’s specific risks and management challenges. We provide an independent and objective evaluation of management activities. This enables us to give an evidence-based, professional opinion on an organisation’s effectiveness in relation to governance, risk management and controls. Our work is often referred to as third line assurance, with operational management providing the first line of assurance and internal governance (including subject matter experts) providing the second line. Our advisory work supports the design of enhanced governance, risk management and control activities. The scope of our reviews is wide-ranging, from advice on business process re-engineering to support on delivering successful projects and programmes. Our award-winning team provides advice and support to customers on counter fraud strategies, fraud risk assessments, and measures to prevent, deter and detect fraud. Where commissioned, our professionally trained staff investigate suspicions of internal or supplier fraud or malpractice. Overall responsibility for internal audit policy in government rests with HM Treasury. We maintain a small team, funded by HM Treasury, to deliver this role on its behalf and lead the profession. The Agency is the audit authority for several European Union (EU) structural fund schemes, such as the European Regional Development Fund and the European Social Fund. These functions will cease after the UK leaves the EU, although the timing of this will not be known until the UK completes its exit negotiations with the EU. We will work with our customers to wind up the structural fund schemes in the UK. Our approach to auditing and counter fraud and investigation enshrines best practice so that we consistently achieve high quality standards. Our vision: we are striving to be a flexible and responsive internal audit, counter fraud and investigation service which has a reputation among top management right across government as making a real difference, providing excellent value for money and regarded as a great place to work. If you’d like to know more about our achievements, then have a look at some of the places we have been mentioned online recently – Audit and Risk magazine, Civil Service Quarterly, Audit and Risk awards 2017, Government Counter Fraud awards, and the Public Finance Innovation awards. We came together as a melting pot of audit teams and other professionals from a wide range of departmental backgrounds. The Civil Service may speak a common language, but there are different ‘dialects’ and we have learned to listen to every voice. Diversity is one of our greatest strengths – bringing with it a wealth of experience and plenty of different ideas and opinions. It’s this mix that’s helped us to navigate a wave of cultural change. List of all the benefits that Government Internal Audit Agency are offering their employees. Benefits may vary depending on role, location and length of service.